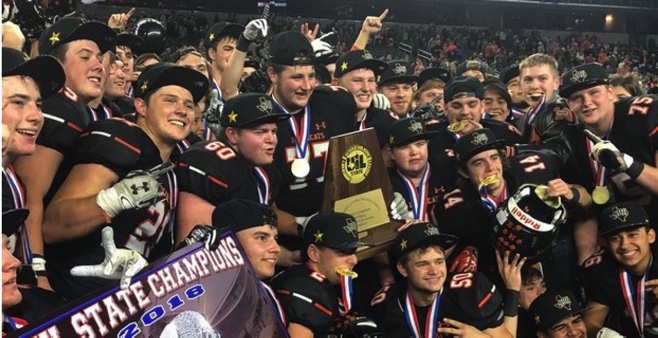 The Aledo Bearcats’ eighth state title was their most complete yet. In a statement victory, the Bearcats dominated Fort Bend Marshall on all sides of the ball. Led by Jase McClellan’s four touchdowns, the Bearcats didn’t take their foot off the pedal even after the victory was sealed. 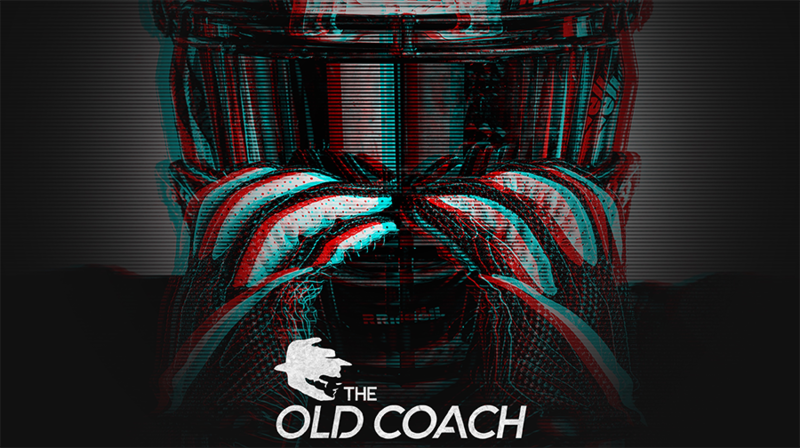 Making their state championship debut, the Buffs looked shaken early, fumbling the first snap, forced back on a penalty and eventually punting on their first drive. The Bearcats were vetted and settled in immediately. Following the punt, it took just two plays for Jase McClellan to find the end zone as he raced past Marshall defenders for a 42-yard touchdown. The Buffs settled in on their second possession, rolling there way into Bearcat territory, but the mistakes wouldn’t stop coming as a Malik Hornsbytouchdown was called back for holding and the drive eventually stalled. The punt coverage was excellent, downing the Bearcats on their own one yard line. After Marshall’s share of mistakes, it was Aledo’s turn. Facing a long field ahead, the Bearcats fumbled in the end zone and couldn’t recover, giving the Buffs the touchdown for a 7-6 score with 6:35 left in the first quarter. The Bearcats weren’t flinching and marched right back down the field, finished off by a six-yard touchdown run by McClellan to increase Aledo’s lead to 8. Marshall’s nerves carried through the quarter, but the defense made a stand, forcing a punt on the final snap of the first quarter. Marshall got rolling, behind the track speed of Devon Achane, who almost single- handedly brought the Buffs down to the goal line before Hornsby punched it in himself. Marshall was back in it 14-12 with 10:25 left in the half. On the ensuing Aledo drive, QB Jake Bishop decided that McClellan couldn’t have all the fun, as he took the ball himself for a 46-yard gain on the first play of the drive. After a huge fourth down conversion gave the Bearcats first and goal, McClellan did it once again, pounding it in from two yards out to extend their lead 21-12. Aledo then one-upped their previous fourth down conversion, turning a fourth and four into a touchdown, as Bishop threw a screen to McClellan who toted the rock 23 yards for a 28-12 lead with two minutes left before halftime. Marshall wasn’t done yet, as Hornsby showed off his cannon arm, with a 51-yard pass to put the Buffs inside the Bearcat 30. The drive stalled and at halftime, the Buffs trailed 28-12. JoJo Earle. Earle had big catches as the Bearcats made their way into Marshall territory. Tre Owens punched it in for a 35-12 Aledo lead. Barring a a miracle comeback, the Buffs state championship hopes were already over. The hits wouldn’t stop coming for Fort Bend Marshall, who fumbled the ensuing kickoff, giving the Bearcats the ball inside the Buffs’ 25. The Bearcats looked like they’d have to settle for a field goal, but while on the run, Bishop found Devan Daugherty for a 20-yard touchdown. this game was still 17 minutes from the end, but for Fort Bend Marshall, it was over. More than halfway through the second quarter, the Marshall offense hadn’t even had the chance to see the field yet. When they did, they blew it, fumbling on their own side of the field to give Aledo great field position up 30 points. Bishop hadn’t run in a touchdown of his own set, but he finally got it in the final minute of the third quarter punching it in from seven yards out for a 48-12 lead.